Mexic-Arte Museum invites the public to celebrate the unique culinary arts of Austin and Mexico with the annual Taste of Mexico event on Cinco de Mayo, a festival of Mexican and Mexican-inspired cuisine and beverages from over 30 of Austin's most eclectic restaurants and flavorful purveyors. 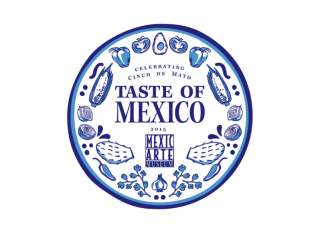 Join the Museum in crossing the borders of culinary excellence and rediscovering the Mex in the Tex-Mex! The evening will also feature contemporary Latin music by DJ Sonora of Peligrosa and Mariachi Chavez Inspiration. $75 general admission; $65 for members.